You have heard, no doubt, the old joke. A tourist in New York stops a passerby to ask, "How do you get to Carnegie Hall?" The passerby, who happens to be a musician, answers, "Practice, practice, practice." For a musician to qualify to perform in prestigious venues such as Carnegie Hall requires a lot of practice. – because the left hand has to finger strings very precisely and rapidly. 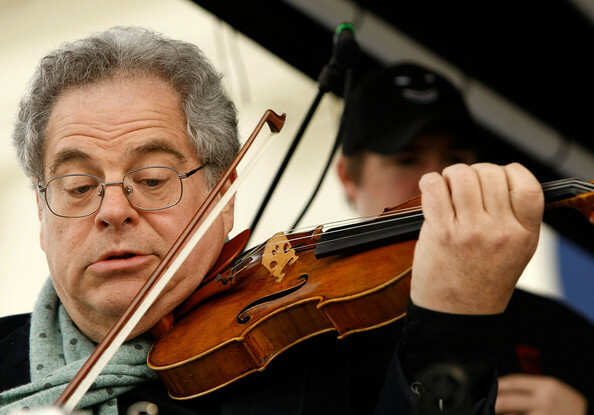 If you put up a scan of Itzhak Perlman's brain and my brain, side-by-side, someone who knows what to look for will be able to tell which brain belongs to a highly trained musician, and which brain can strum a few chords on a guitar. All that practice, practice, practice actually builds up neurons. And just as violin practice changes your brain – and changes what you can do – spiritual practice also changes your brain – and changes what you can do. So it’s also the case that if we had a brain scan of my brain 15 years ago, and today, I’m pretty sure there’d be some differences. Some of those would simply reflect the aging process. Other changes though would have been produced from the last 10 years of spiritual practice. I’ve moved toward a greater integration. Obviously, I have some areas for further growth -- and always will. But if you’d known my brain 15 years ago . . . well! I was raised by solid rationalist, humanist parents. They were academics: Mom’s field was chemistry, Dad’s was English. His specialty was 18th-century British literature: the age of reason. So for me the arts and the sciences all pointed to reason. I was their first born. Wanted to please, and lead in the values my parents represented. Was on my high school debate team -- Georgia state champion. Went on to go into the family business: college teaching. I lived in my head, and trusted thinking more than feelings. Especially under stress, I trusted intellectual analysis – the strength of my arguments -- to get me through. As in many mythic narratives of the spirit journey, the breaking up of hubris and the beginning of wisdom requires a descent into failure. Mine came when I didn’t get tenure as a philosophy professor. Despite approval from the faculty committees reviewing my performance, the President’s office cited institutional need – the slot I’d been hired into had essentially gotten filled when, in my third year, the academic dean gave up deaning and returned to full-time teaching. His field just happened to be philosophy, and the small school and tiny philosophy department didn’t need another full-time philosopher – a fact for which I’m deeply grateful . . . now. This is part 1 of 4 of "Mindsight." Next: Part 2: "Neither Repressing Nor Indulging"